This store bought costume for families entered our 2017 Halloween Costume Contest. 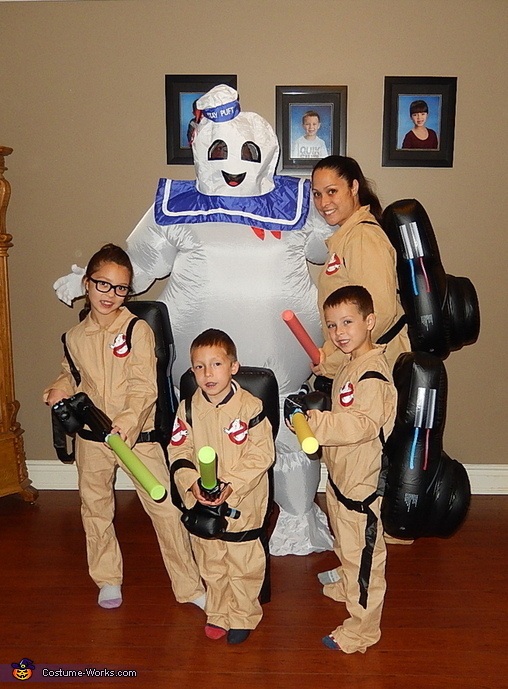 We are a family of 5, my husband is wearing the Stay puff costume, my 8 year old daughter, 6 and 5 year old sons and myself are wearing the Ghostbusters costumes. Every year we dress up as a family, we talk it through all year round on different ideas as to what we can be. This year we were watching Ghostbusters and decided that this is what we were going to do. It worked out nicely.